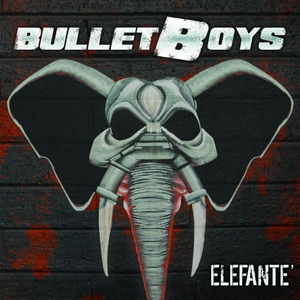 The BULLETBOYS will embark on a National tour starting with some key headline dates in June – Then they will be joined by LA GUNS With Tracii Guns for the first leg of the Armed Alliance Tour. BULLETBOYS VIP packages are available – You get special early access, VIP laminate, meet & greet, signed 8x10, you can bring 2 items to be signed and a special “merch package” full of cool stuff! Show tickets sold separate and must be purchased to activate the VIP package. Buy your VIP right HERE. Look for their new release Elefante on Cleopatra/Deadline Records, June 9th 2015. You can PRE-ORDER the album HERE.